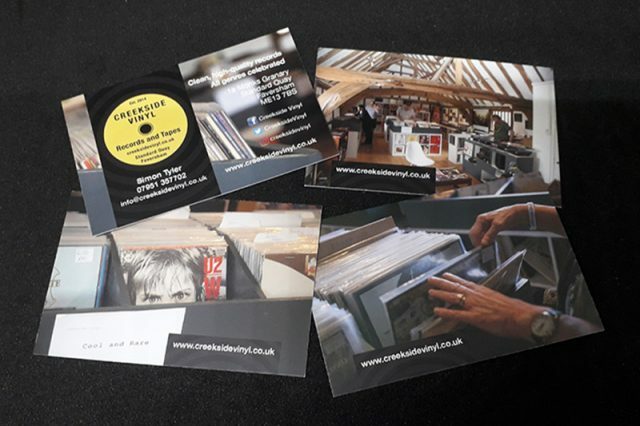 August 2018: Design of Creekside Vinyl’s stationery (postcards, business and loyalty cards, stickers and website banners). 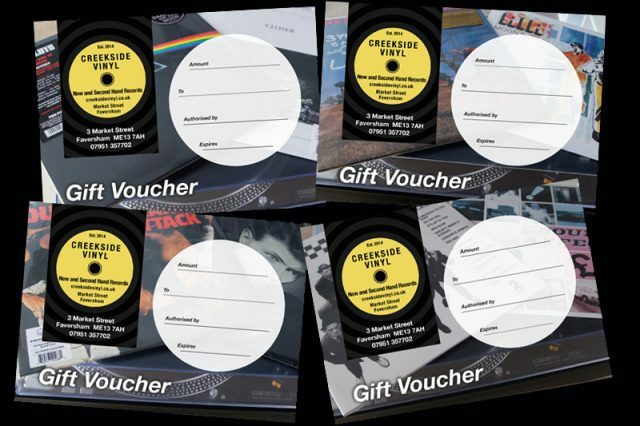 A newly acquired vinyl store in Faversham (Creekside Vinyl) needed new stationery designed and I was asked if I would like to take the commission. 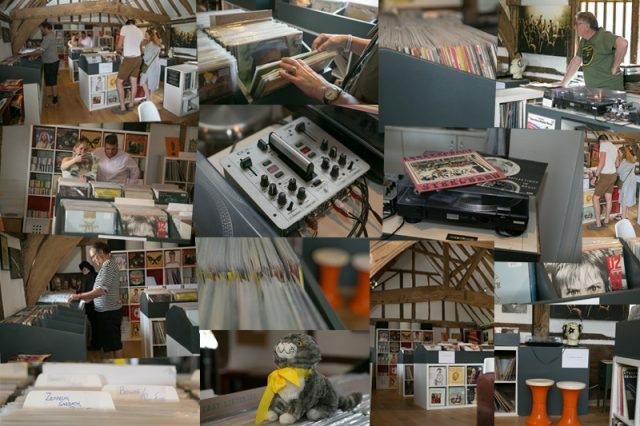 I love this sort of job – to design for a great vinyl store located in a great setting – Standard Quay, Faversham. 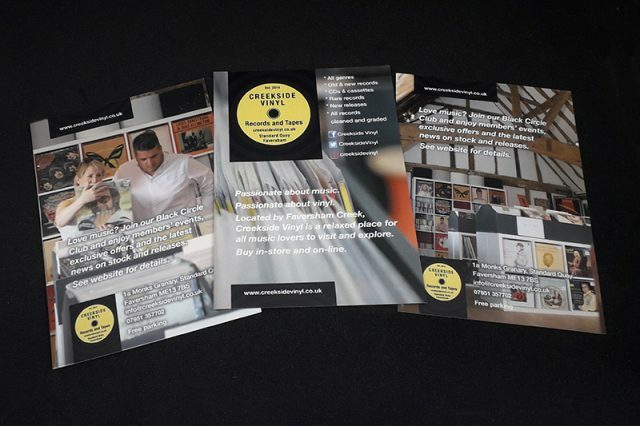 My approach was to suggest I take a set of photos of the store and close up shots of records, etc. These images would be used in conjunction with the designs; it seemed logical to me that imagery would add impact to the designs and give people an idea of what they would find in-store. 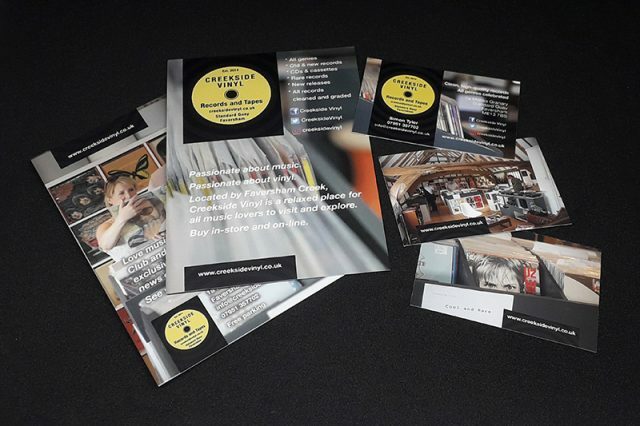 The store has a friendly and relaxed atmosphere located in a picturesque part of Kent. The client is delighted with the final designs and feels that it captures the essence of the store well. Please see below for a selection of images from the photo shoot.